Whether it’s making a formal speech, giving a presentation or a professional conversation with a colleague, we know that our star will rise and fall on the strength of our communication skills. Here’s 5 tips that are guaranteed to make you a more confident, effective and impressive communicator. Simple fact: if you care about what you are saying, so will your listeners. If you don’t care, why should they? If you go into a conversation with positive intent you are automatically setting yourself up for success. Your body language will be stronger, your tone more engaging. Plus you are allowing yourself some latitude for making mistakes. Perhaps you stumble over a few words. Stutter a bit. It won’t matter – your lively enthusiasm will mean that your audience either doesn’t notice or doesn’t care. They will be struck by the enthusiasm and sincerity of your message. Only say things you care about or find a way to care about the things you must say. 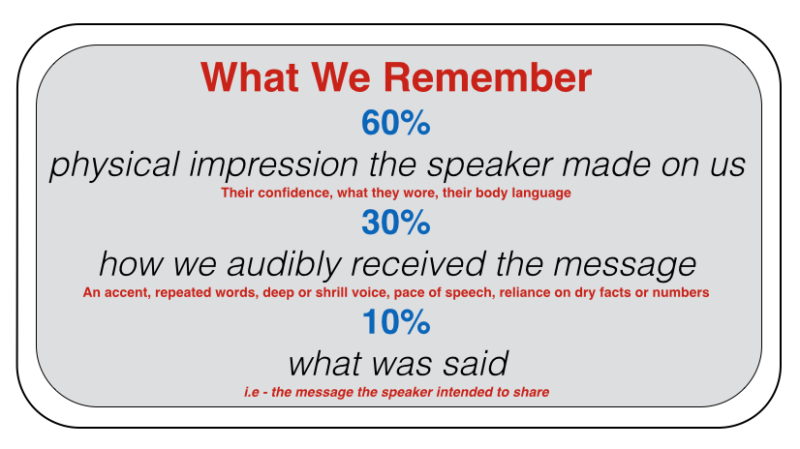 60% of what people remember from what you say will come from the physical impression you give them. And your audience will make that judgement within 90 seconds of you beginning to speak. Take physical control of the situation by standing tall. It gives you presence and confidence. Fake it and you will make it. High anxiety causes us to speak too quickly and take shallow breaths. The mixture of speaking quickly and taking shallow breaths gives us that suffocating feeling we associate with speaking when they stakes are high. Take control of this and deliberately slow down. Breathe deeply and control your rate of speech. Controlling your rate of speech makes you less likely to go off on tangents or make bumbling mistakes. Slowing down your rate of speech also gives you more time to be considered. You will come across as more thoughtful and confident. If you are considered, your audience doesn’t have to be. Under the pressure of an important conversation or formal presentation it’s a huge mistake to try and fabricate a tone that is not yours or to use words you don’t normally use. It will appear dishonest, insincere and inaccessible to the audience. Plus, it will open you up to the increased chance of making bumbling mistakes. Keep your tone informal and comfortable. Believe it or not, there are few – if any – scenarios in which it is unacceptable to speak informally. Overly formal speech puts a distance between you and the audience. That’s the opposite of what you want. You want to appeal to the audience, bring them into you and what you are saying. The good news – using your normal speaking style, language and tone is the best way of doing that. It’s ideal to keep it real. The best thing about learning to be a better communicator is that great examples are all around us. Pay more attention to the way people speak – in all different circumstances. Notice the energy someone has when they tell a funny story to friends. Notice the easy articulation of colleagues chatting casually about work issues. Notice the way you talk when you are relaxed, talking with someone you love. Chances are that it’s these situations when you are at your very best as a communicator. Harness it and reproduce its fundamental elements in all your communications. Within the communication that is all around you, you’ll find fantastic examples of effective style, tone, pace and language. Wonderful communication lives where we don’t normally look. These tips were taken from Boo Holmes. Boo is an actor and speech coach who delivered some wonderful, easily implementable tips in The Team Guru Podcast – Episode 4. 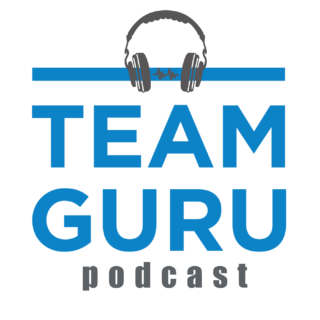 Listen to the full interview here on iTunes or here on the Team Guru Website.